Yu Wan, a grandmother in the village of Dai, Myanmar, has been working as a trained Traditional Birth Attendant for seven years. She then became a trained Community Health Volunteer. She is aware that many women in her village rarely attend hospital, due to costs, or simply not knowing how important it is. Since 2015, Women and Children First has been supporting our partner, Health Poverty Action, to create groups where women come together to discuss the health challenges facing them. They work together to find solutions and spread knowledge. Due to her knowledge of mother and child health, Yu Wan was invited to train as a group facilitator and has been leading the group in her community ever since. Groups like Yu Wan’s are proven to improve health care-seeking and reduce the deaths of mothers and babies. After their discussions, the group members have begun conducting door-to-door visits to households with children under five, to discuss recent health issues experienced by the families. Yu Wan told us; “We have found several pregnant women who feel dizzy and get headaches. I think it could be Anaemia. I suggest they go to the hospital to have a check-up”. 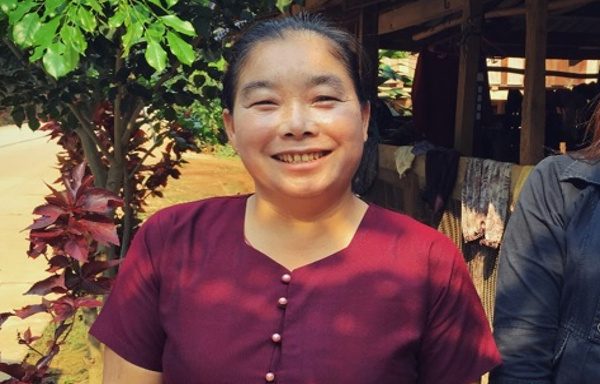 Your support has meant that Yu Wan has helped women in her village learn and share vital knowledge with one another. By donating to Women and Children First, you can help more women like Yu Wan teach others the importance of going to health facilities to give birth, which could save their lives.